Cook the pasta and add this next. Quarter the cherry tomatoes and chop the cucumber into chunks. Shred the basil leaves and mix these all together, add these as the next layer. Add the spinach on top. 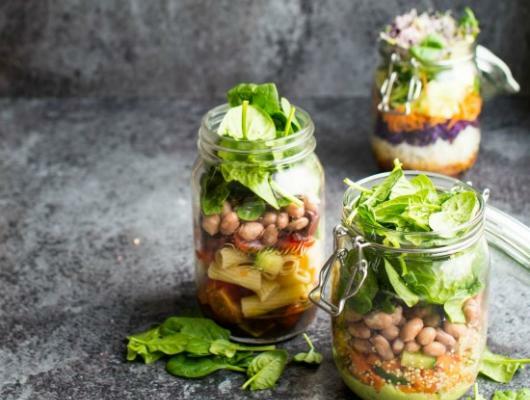 Quick, easy, on-the-go vegan salad jars are perfect for preparing packed lunches ahead, so you can just grab and go on your way to work! Recipe Notes Store in the fridge for up to 3-4 days in a glass jar. Mix all the ingredients together just before serving. 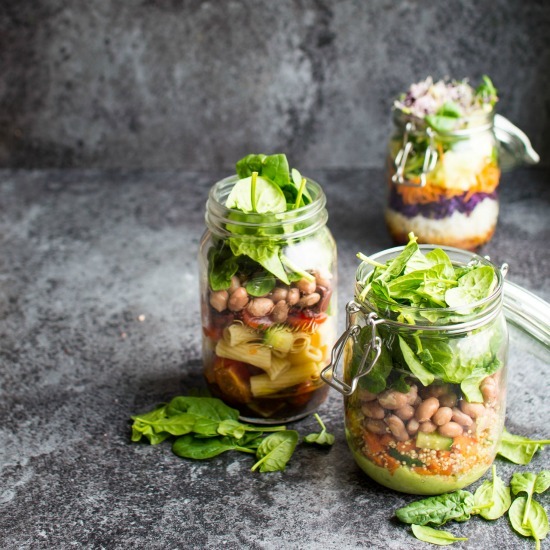 Follow the links on the blog page for two more delicious salad jar ideas!